Hodeida (Yemen) (AFP) – At least 150 people have been killed in 24 hours of clashes in the Yemeni port city of Hodeida, medics said Monday, as Britain’s top diplomat visited the Gulf seeking to boost international calls for a ceasefire. 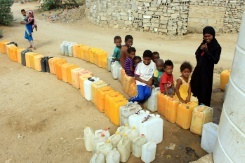 Government loyalists supported by a Saudi-led coalition are fighting to oust the Iran-backed Huthi rebels from the strategic Red Sea city, whose docks are a lifeline to 14 million Yemenis at risk of starvation. Asked about the possibility of a ceasefire, a coalition spokesman told reporters in Riyadh that “the operation is still ongoing”, adding that it was meant to pressure the rebels to come to the negotiating table. A Hodeida resident reported an ebb in fighting around the city by Monday evening, but UN Secretary-General Antonio Guterres warned of a possible “catastrophic situation” if the port is destroyed. “The fighting must stop, a political debate must begin, and we must prepare a massive humanitarian response to avoid the worst next year,” he said. A military source in the pro-government coalition said the insurgents had pushed back a large-scale assault aimed at moving towards the port, under rebel control since 2014. In a statement sent via the Telegram messaging app, the Huthis said they had “lured” loyalists up the western coastline of Hodeida, where the rebels then launched an attack on the troops. Government forces, led on the ground by Emirati-backed troops, have made their way into Hodeida after 11 days of clashes, reaching residential neighbourhoods in the east on Sunday and sparking fears of street fights that would further endanger civilians trapped in the city. Residents and government military sources have reported rebel snipers stationed on rooftops in civilian streets in eastern Hodeida, a few kilometres (miles) from the port on the western edge of the city. The fighting forced hundreds of terrified medical workers and patients to flee the al-Thawra hospital –- Hodeida’s largest public medical facility — as a series of explosions rocked the area on Sunday, Amnesty International said. A medical worker told Amnesty that they “dodged a hail of shrapnel” as bombardment near the hospital lasted more than 30 minutes. The Hodeida offensive has sparked an international outcry unprecedented in nearly four years of conflict between the Huthis and the Saudi-backed government. Britain, the United States and France have all called for an end to hostilities. All three countries are major suppliers of arms to Saudi Arabia. US Secretary of State Mike Pompeo has urged Saudi Crown Prince Mohammed bin Salman, a major ally of Washington, to engage in peace talks. AFP / Laurence SAUBADU. 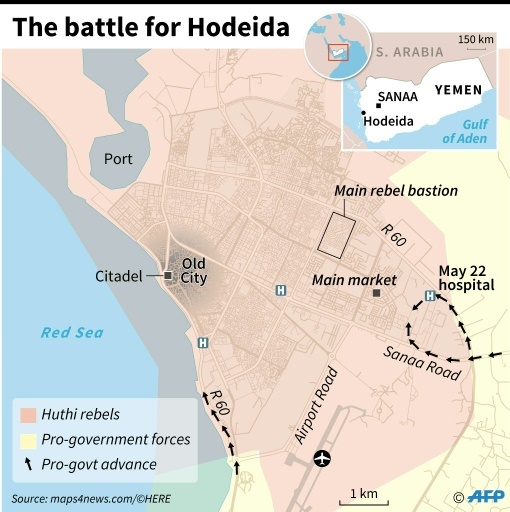 The battle for Hodeida. British Foreign Secretary Jeremy Hunt met with Saudi King Salman and Prince Mohammed on Monday during a visit to the kingdom to press its rulers to support UN efforts to end the conflict. Hunt also flew to the United Arab Emirates, a key pillar of the Saudi-led coalition, to meet the crown prince of Abu Dhabi. In France, Foreign Minister Jean-Yves Le Drian said it was time “the international community said enough is enough. “There will be no victor in this war,” Le Drian told France 2 TV. Aid groups fear for the safety of hundreds of thousands of people living in Hodeida — and for millions of others dependent on its port for what little food and humanitarian aid trickle into impoverished, blockaded Yemen. A military official in Hodeida on Monday confirmed seven civilians had died, without giving further details. A 15-year-old boy died last week of shrapnel wounds in Hodeida, Save the Children said. Medics in hospitals across Hodeida province reported 111 rebels and 32 loyalist fighters killed overnight, according to a tally by AFP. Sources at the Al-Alfi military hospital, seized by the rebels during their 2014 takeover, said charred body parts had been delivered there overnight. Military sources confirmed that the Saudi-led alliance had targeted the rebels with multiple air strikes. AFP / ESSA AHMED. A Yemeni woman carries her child who is suffering from severe malnutrition at a hospital in northwestern Hajjah province on November 11, 2018. 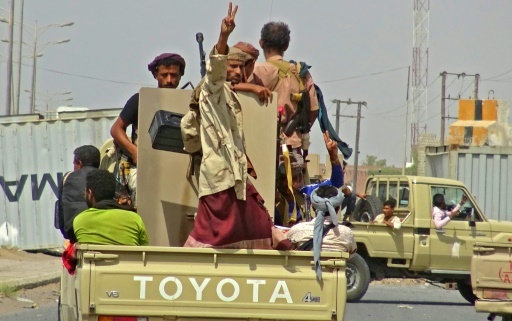 The rebels have begun to evacuate their wounded to Sanaa, the capital, which the Huthis seized during a 2014 takeover that included a string of ports on Yemen’s coastline. Saudi Arabia and its allies intervened in the Yemeni government’s fight against the Huthis in 2015, triggering what the UN now calls the world’s worst humanitarian crisis. Nearly 600 people have been killed since clashes erupted in Hodeida on November 1, ending a temporary suspension in a government offensive to take the city that began in June. The coalition has come under intense international pressure to end the conflict, particularly following the killing of Saudi journalist Jamal Khashoggi, an ardent critic of Prince Mohammed, in his country’s consulate in Istanbul on October 2. AFP / ESSA AHMED Displaced children from Hodeidah province wait for water supplies in a camp in the northern district of Abs in Yemen’s northwestern Hajjah province on November 10, 2018. Multiple countries, including Germany and Norway, have announced the suspension of arms sales to Saudi Arabia after Khashoggi’s killing. The United Nations’ Yemen envoy, Martin Griffiths, is pushing for peace talks between the Huthis and the government by the end of the year. The United States, which for years provided military training and aerial refuelling for the Saudi-led coalition, on Saturday announced it would end its inflight refuelling support for the alliance. The alliance accuses Iran of smuggling arms to the Huthis through Hodeida port. Tehran denies the charges. 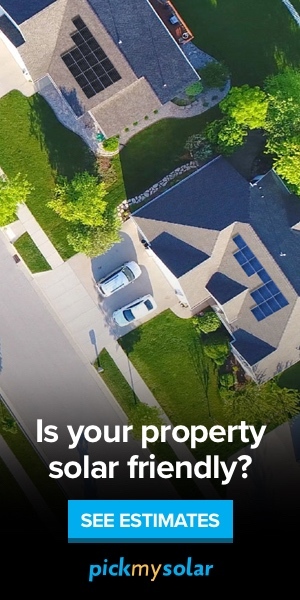 Featured Photo: AFP / STRINGER. Yemeni pro-government forces drive through the eastern outskirts of Hodeida as they battle to seize the key Red Sea port city from Huthi rebels on November 10, 2018. Natacha Yazbeck is a journalist at Agence France Presse covering the Arab World. Her reportage has appeared in the Daily Star and Dawn. She holds a doctorate from the Annenberg School for Communication, University of Pennsylvania.